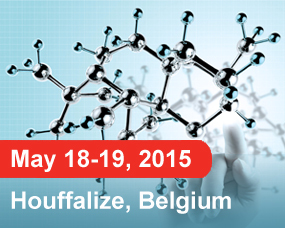 The BPG organisers invite you to Houffalize on May 18 and 19 for the 2015 edition of the Annual Meeting of the Belgian Polymer Group! For more information on the Belgian Polymer Group please visit the BPG website. The 1st PIRE Workshop on Biobased Polymers and Materials in Belgium will address the global challenge that many of the polymeric materials used in today's clean energy technologies come from unsustainable sources. While often thought of as only substitutes for liquid fossil fuels, biomass substances can serve as replacements for non-sustainable building blocks in many applications for polymeric materials. During the Workshop and with the help of outstanding speakers, a special emphasis will be made on the use of biological-based polymeric materials to create sustainable replacements and improve material performance in high value-added, high performance applications, beginning with solar and wind energy devices from academic and industrial prospects. Click on the link for more information and registration to the workshop.